Trim down in size as you upgrade in style, with striking embroidery contrasts and trend-right metallic. 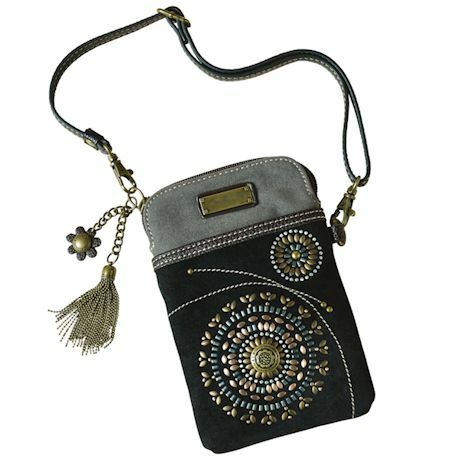 An adjustable strap that lets you carry this bag as a simple purse, a hands-free cross-body, or a waist pouch. Outer slip pocket, three inner pockets, zip close; padded lined interior. Faux leather. Imported. 5" x 3/4" x 7"; strap adjusts from 7"-28".